Roger Marion Messingham, 74, of Goodlettsville, Tennessee, formerly of Waterloo and Cedar Falls, died Wednesday, Jan. 23, at Skyline Medical Center in Nashville of a sudden heart attack. He was born June 7, 1944 in Waterloo, son of Harold Arthur and Ruth Alene Simmons Messingham. He married Sandy Zubak in 1968. They were later divorced. Roger graduated from Waterloo East High School in 1962, where he participated in baseball, basketball and student council. He was a lather for Messingham’s Lath & Plaster Company and was a country-western musician and songwriter. He operated Messingham’s 2nd Base Restaurant and Lounge in Cedar Falls from 1969 to 1976. Roger then moved to the Nashville area to pursue his musical career. Survivors include: his mother, Ruth Messingham of Waterloo; a son, Spirit (Amelie) Messingham of Tucson, Arizona; a brother, Ronald (Bonnie) Messingham of Waterloo; three sisters, Marlys Messingham of Waterloo, Marilyn (Greg) Frederick of Boise, Idaho and Melodie Cummings of Waterloo; five nephews, Dennis and Courtney Messingham, David Frederick and Clinton and Garrett Cummings; a niece, Elizabeth Frederick; seven great nieces and nephews; and his former wife, Sandy Messingham of Cedar Falls. Preceded in death by: his father, Harold Messingham; an infant brother, Gary Messingham; and his grandparents, Herbert and Katie Turner Simmons and Arthur and Mary Mount Messingham. A memorial service will be 2:00 p.m. Saturday, Feb. 9, at Hagarty-Waychoff-Grarup Funeral Service on West Ridgeway. Visitation will be from 1:00 p.m. to service time. Roger marched to the beat of his own drummer. He would give you the shirt off his back and he never passed a homeless person without asking what they needed. 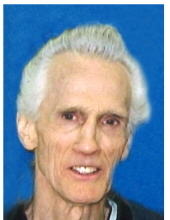 He liked sports and played in various amateur baseball and basketball leagues over the years. Cars were special to him, especially Corvettes. His “best friend” was his 1985 Buick, which he polished and shined almost daily. Roger loved nature and all of God’s creation. He was a tissue and organ donor. To send flowers or a remembrance gift to the family of Roger Marion Messingham, please visit our Tribute Store. "Email Address" would like to share the life celebration of Roger Marion Messingham. Click on the "link" to go to share a favorite memory or leave a condolence message for the family.